Cloud Host Webhosting WP Theme by Themefuse. Start your own Webhosting business website today with this brand new WordPress theme or revamp your existing website. All Themefuse themes are very customizable and easy to use, and Cloud Host is no exception. You can change colors, backgrounds and many more directly from the WordPress admin, in a matter of clicks. Cloud Host comes with a beautifully designed pricing table that you can use to present your web packages and hosting services. The theme comes with only 1 slider and to be honest it’s all you will need. It is perfectly integrated with the rest of the theme and it comes with some smooth out of the box HTML 5 animations. Besides the regular default blog pages, Cloud Host comes with a bunch of built in page templates for you to use. From Solutions and Pricing to About Us and Support. This theme is optimized for a Responsive viewing experience. Responsive Web Design (RWD) is a web design approach aimed at crafting sites to provide an optimal experience with a minimum of resizing and scrolling, across a wide range of devices. Perfectly crisp texts, icons, graphics & images on any screen, at any size – either if we are talking about a normal, classic monitor or the new and gorgeous Retina (HiRes) displays. All our WordPress themes are translation ready, so they support free or premium plugins, like qTranslate and WPML. Using these tools you can translate everything: pages, posts, menus, taxonomy, etc. The theme comes with a contact form module that will enable you to create any contact form you might want or need. All this only a couple of clicks away. A useful module when, for example, you want to add more then one sidebar to a page, or different sidebars on different pages. This brings yet another layer of customization freedom to your website. Search Engine Optimization (SEO) is vital for any website that wants to have as many visitors as possible, so we have built-in a great SEO module that offers you complete control & takes care of everything! A shortcode is a WordPress-specific code that lets you do nifty things with very little effort. Shortcodes can create objects that would normally require lots of complicated code in just one line. 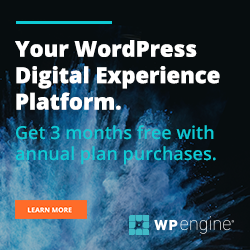 Our WordPress framework is white-label ready, which means that if you need a non-branded interface you will only have to turn on a switch to make all our branding go away in a heartbeat. No more fiddling with server settings & complex XML content install process! All these WordPress themes have this unique feature, built into our framework, that auto-installs the demo content making the theme look exactly like the one you see on live preview. Cloud Host Theme is best suited for people involved in Web hosting , Data Center, Domain name registration businesses. You may have searched Cloud WordPress Theme Download Free, Theme review, nulled torrent, free license key, But, you should always go for a valid licensed copy of templates or themes which comes under 80 dollars. And for your information, most of them are much cheaper and easily available via cost effective membership. You can get a valid license key by purchasing it individually or using premium membership plans for their theme clubs.